← What a Crazy Month! Bad Monkey by Carl Hiaasen – I am a bad, bad Floridian in that I had not yet read any of his novels. LOL! I thoroughly enjoyed this hilarious mystery that takes you from South Florida to the Bahamas in its telling. The monkey? Yes, quite bad & totally needs to be featured in more stories. Cinder by Marissa Meyer – Cinderella retold with Cinderella as a cyborg?! ZOMG, you know I’m all over that!! It is a YA novel, but honestly – it is not written overwhelmingly as one & easily kept me hooked & enjoying the story. Cinder is not your typical teenage girl in that she’s mature, brilliant, a mechanic & a cyborg with no googly-eyes-making at the boys. I loved this story so much that I immediately began the follow up story, Scarlet. 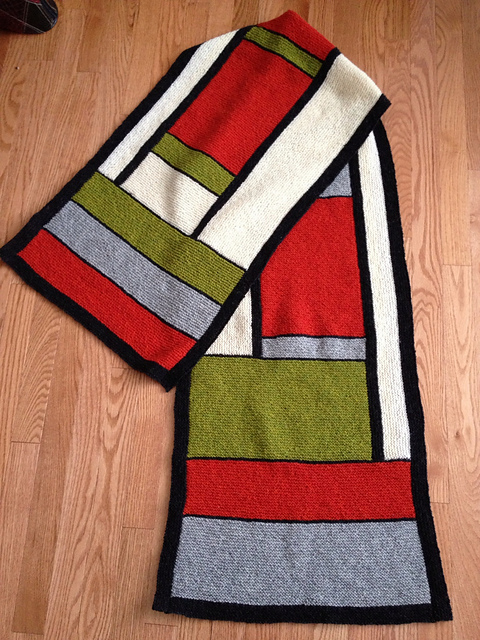 I’ve mostly been working on my stashbusting projects, but I also have this sweater OTN – I’m down to the sleeves now. 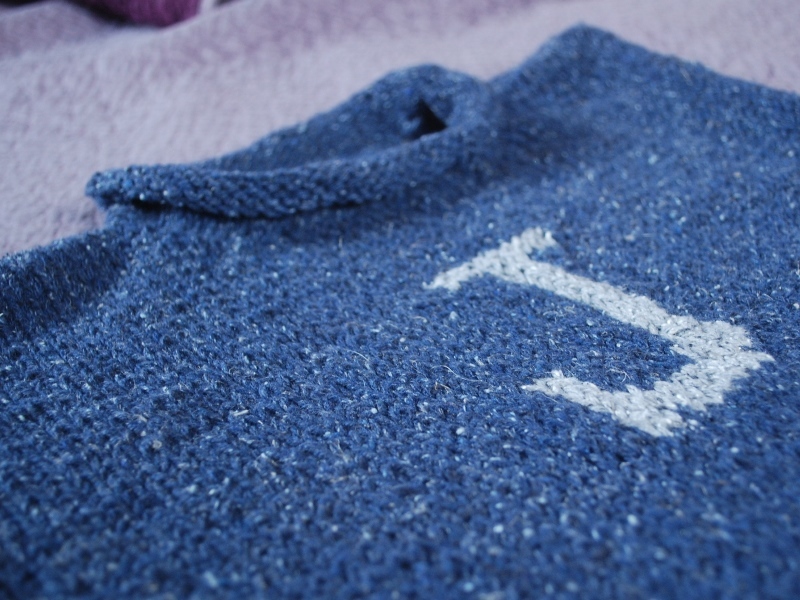 Some time ago, I’d knit a Weasley sweater for the Pixie. Her sister recently saw a picture of it & asked if she could get one too. She’s Ravenclaw too, w00t! Ooops, I accidentally bought enough yarn for TWO sweaters. I’m very happy to knit for her, as she’s agreed to Dane-sit for us while we are camping. That’s a pretty big job, but she’s the perfect person for it, as Leonardo already adores her. As a few of my other kids already know, he’s pretty picky about people & can be a downright crotchety old man. P.S. I came across this post on creating a chart for your own letter – it’s awesome & works PERFECTLY. * I love the flower squares, so cute! Go check out the different projects, there are a couple bags that are also awesome! 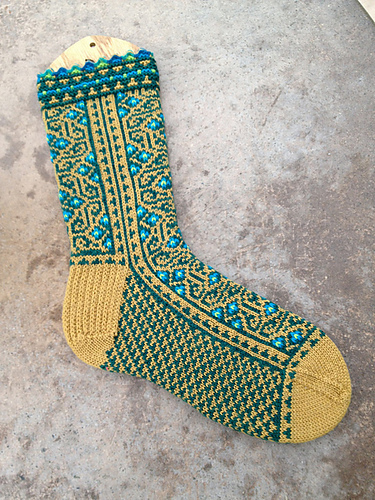 Amazing colorwork on these socks!! 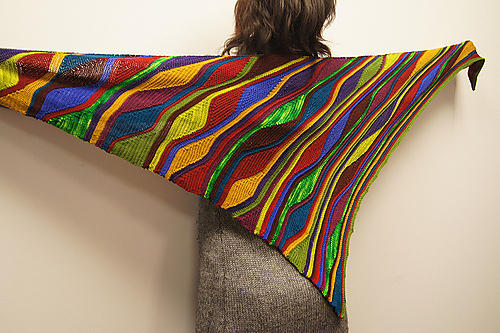 I really love the colorful garter stitch shawls. I should make myself one some day. LOL! * SO damn cute! I can think of a person or two that might like one of these. 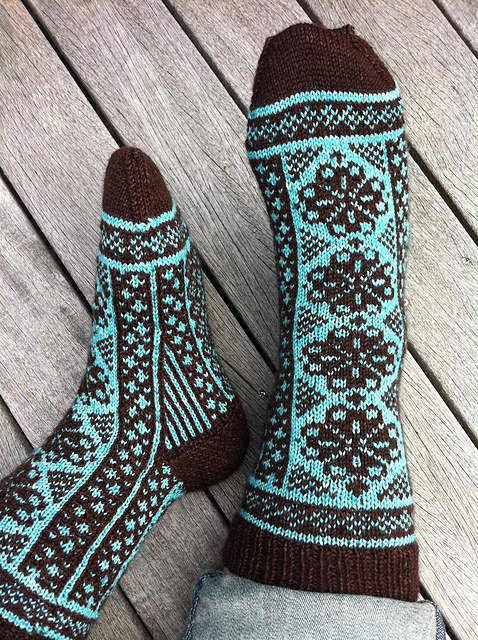 * I am always so amazed when someone puts up such fantastic colorwork patterns for free! 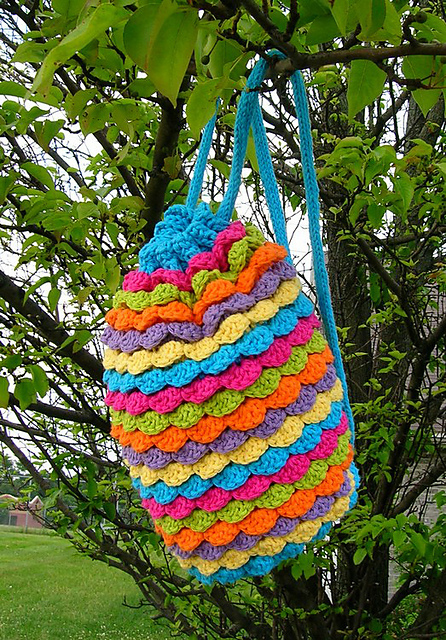 We were just talking about this pattern at knit night last week! It’s SO gorgeous. This entry was posted in Running and tagged Free Patterns, Harry Potter, Knitting, Reading, Today's Ravelry Search. Bookmark the permalink.